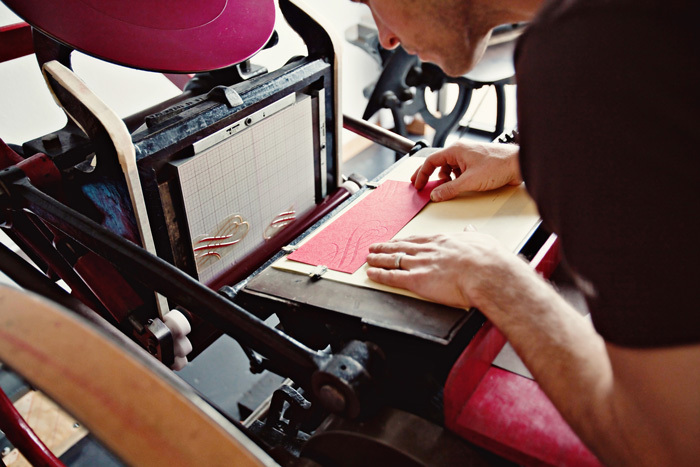 Letterpress is a relief printing technique in which a raised plate is inked and then pressed into the paper for a deep tactile impression. We print our invitations one at a time on an antique press, feeding each piece of paper through the press for every color applied. We also mix our ink colors by hand. Letterpress is a labor of love and the end result is a dramatic and beautiful look unmatched by any other printing method.